In what seems to be the next wave of the growing backlash against the labor practices of Apple&apos;s manufacturers in China, protesters will descend upon the company&apos;s flagship store in Manhattan tomorrow. A demonstration organized by members of Change.org and SumOfUs.org is scheduled to take place outside of the famous cube on Fifth Avenue beginning at 9:00 AM. The protesters will ostensibly be there to deliver a petition, which they say has been signed by over 250,000 concerned citizens. As we&apos;ve previously written about, Apple is facing some tough scrutiny over the conditions at Foxconn, the massive manufacturing plant that assembles iPhones and iPads. Workers at the factory typically put in more than 60 hours per week for very low wages. 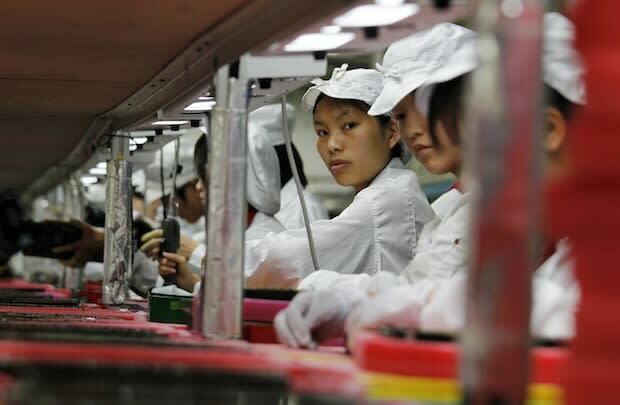 Apple is not the only company that relies on such labor, however. Other Foxconn partners include Sony, Dell, Motorola, Microsoft and more.